The full name of the IB course is the International Baccalaureate, hosted by the International Baccalaureate Organization and founded in 1968 by the Geneva International School in Switzerland. The IB program is divided into PYP (Primary School Project), MYP (Secondary Program) DP (University Foundation Program) and CP (Professional Education Program), regardless of the stage of study. IB's teaching philosophy is to encourage students to explore and discover everything around them, so that students can relate what they have learnt to reality. The MYP Program (Secondary Program) is an academically challenging course for students aged 11 to 16 designed with an emphasis on inquiry and concepts to develop students' ability to criticize and think independently. What is the IB MYP course then? MYP (Secondary Program) was established by the IBO in 1994 for middle school students aged 11 to 16. The MYP program emphasizes knowledge synthesis, international culture and international exchanges, and encourages students to connect their knowledge with real life, develop students' critical thinking skills, and become talented person with independent thinking. This book is written for the needs of junior level students in the MYP Chinese course. 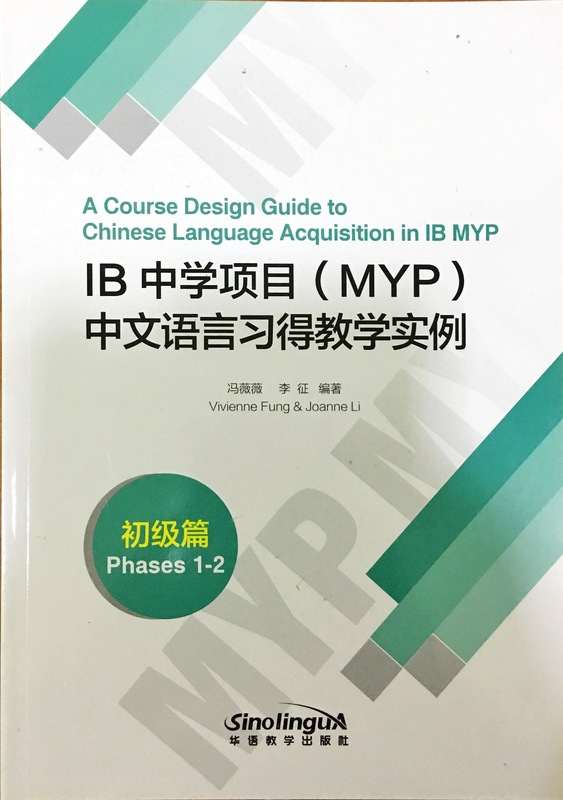 This book systematically explains the teaching structure and concept of MYP Chinese language acquisition, helping teachers to carry out teaching planning and classroom teaching more effectively, and help students to complete the MYP Chinese course better.